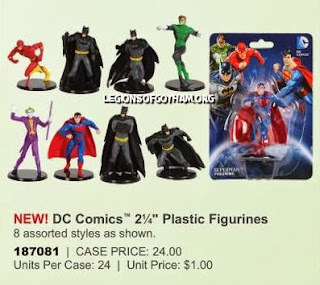 Home » » New $1 Batman PVCs! These can be found at Dollar Tree and Michael's Craft Stores. They're made by Monogram and are only $1 each. There are four Batman poses and one Joker pose, along with Superman, Green Lantern and the Flash!